Forget the red & green! 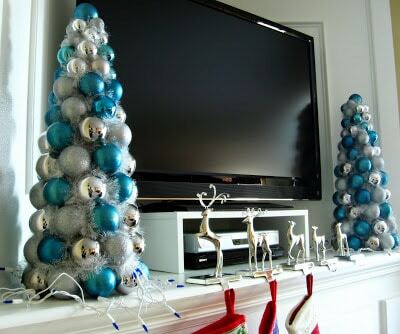 Create a fresh look this holiday season with blue Christmas decorations! 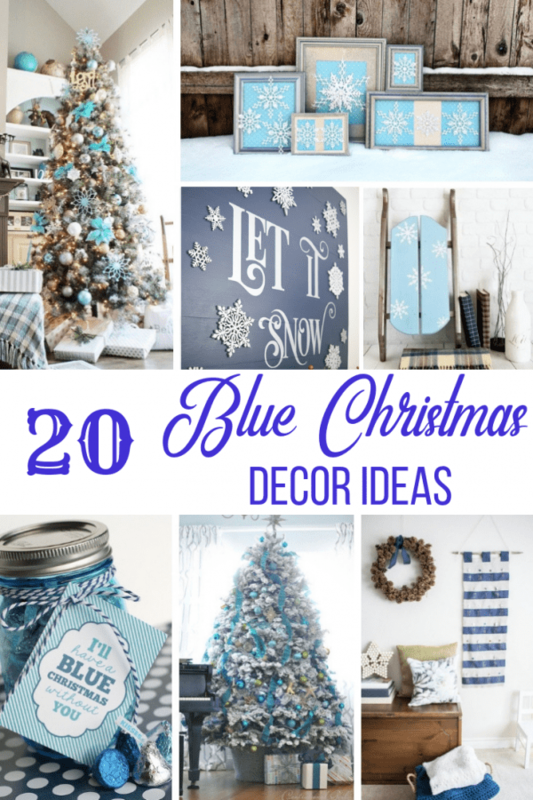 I’ve found 20 gorgeous blue Christmas decor ideas to inspire you! I’ve never been a traditional Christmas person. My decorating style is more modern, with cool colors and lots of white! 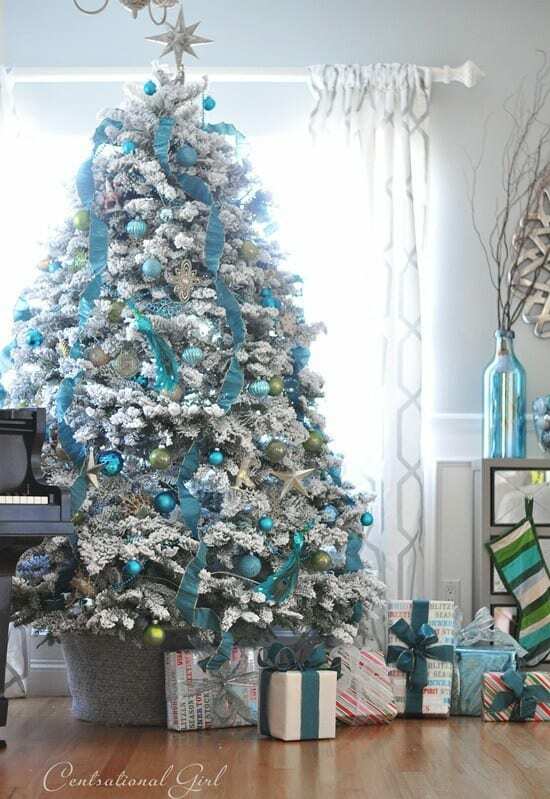 I’m always on the hunt for blue Christmas decor ideas that will coordinate with my existing color scheme. If you’re searching for a new look in holiday decor, try out one of these options! 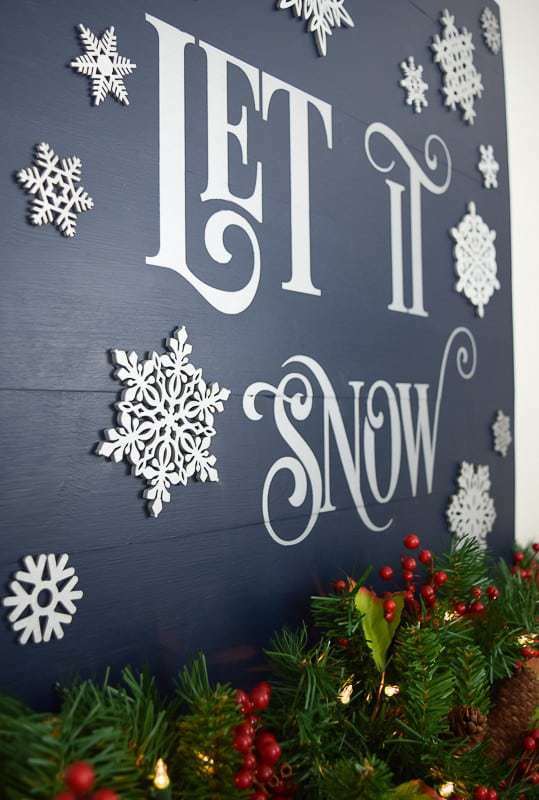 This Let it Snow sign is made with a few scrap boards and wooden snowflake ornaments, and can be left up long after the holidays are over! 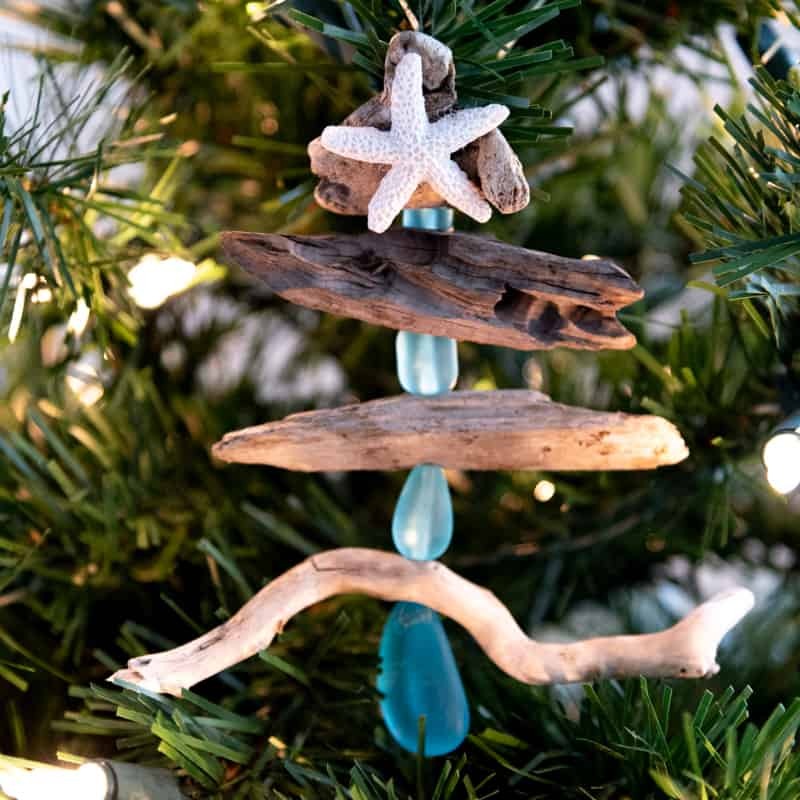 Add a touch of the beach to your holiday decor with this driftwood Christmas tree ornament! The connecting beads are made from sea glass for a pop of blue on your tree. 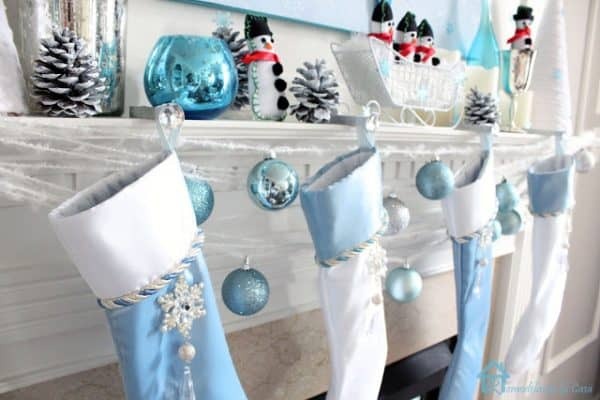 This blue and white Christmas mantel just sparkles! I love how the ornaments are strung across with fluffy yarn that looks like it’s covered in snow! 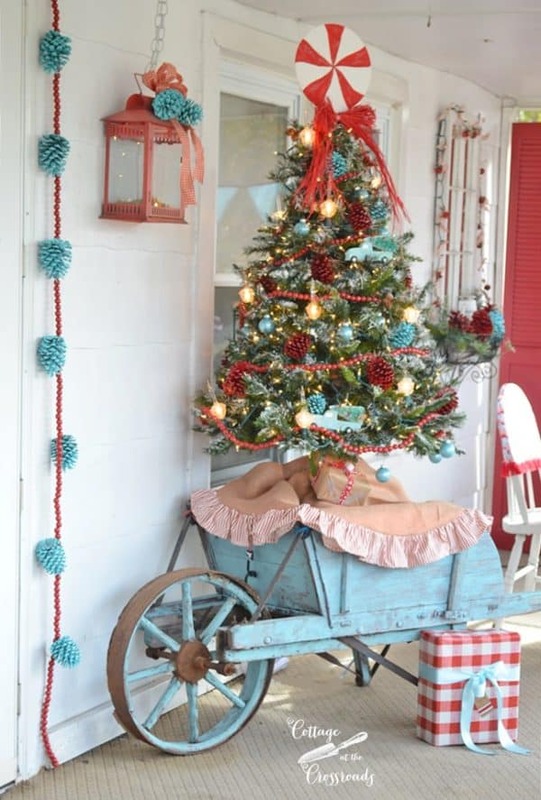 If you already have lots of red Christmas decor, add in some aqua accents to give it a whole new look! The pinecone and berry garland would be an easy DIY project that you could create in any color. 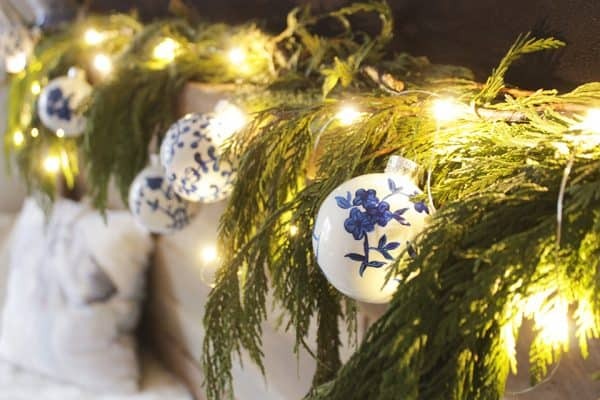 Blue and White Christmas Decor – Lovely Etc. 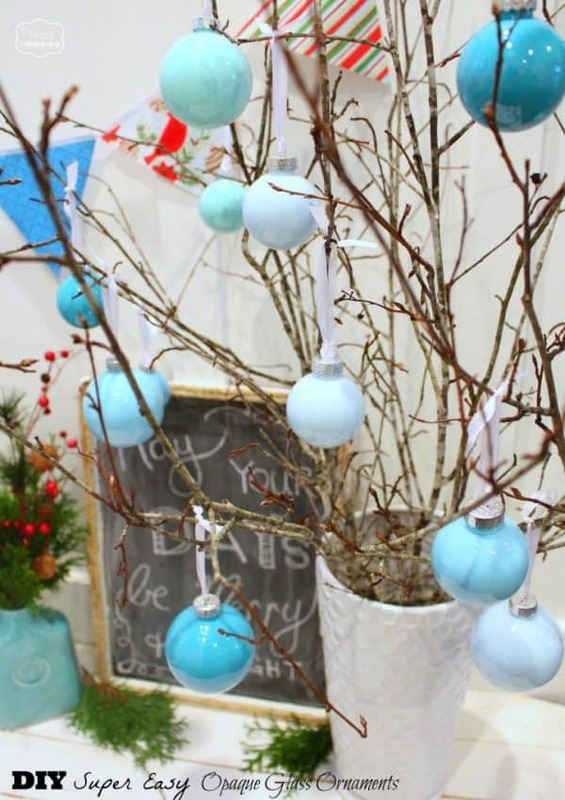 Add a pop of blue to your white Christmas decor to break up the monotone look. 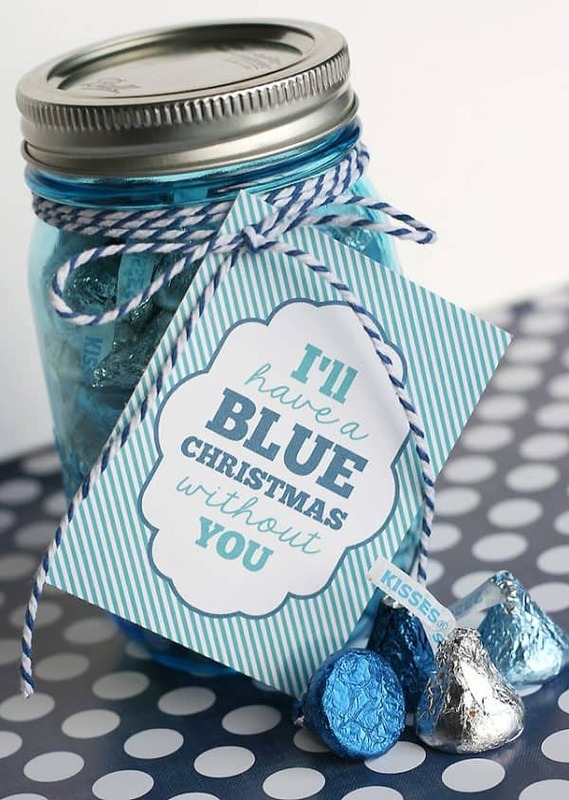 Even your gifts can feature blue hues! This would be an adorable present for a teacher or neighbor! Turn clear ornaments into a set of custom colored ones with some paint! Wrap all your gifts in coordinating blue paper and display them until Christmas arrives! Frosty blue poinsettias and ornaments pull this whole look together! 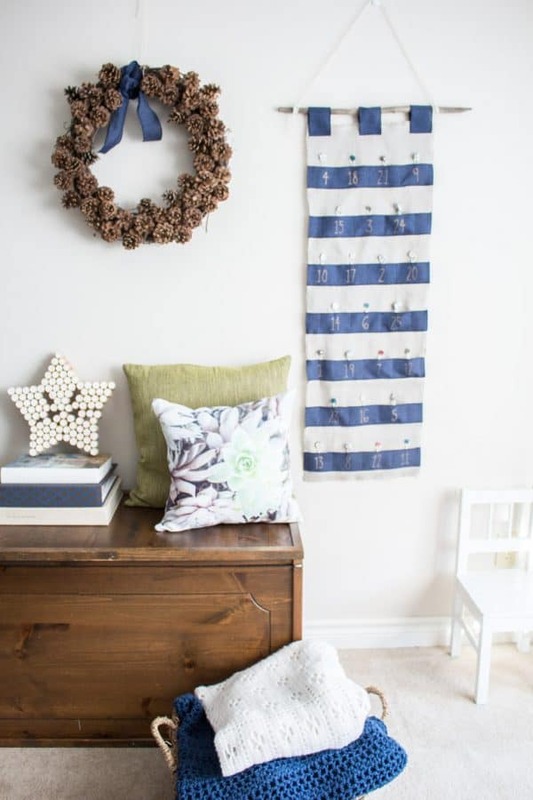 Count down the days until Christmas with this blue and white advent calendar! 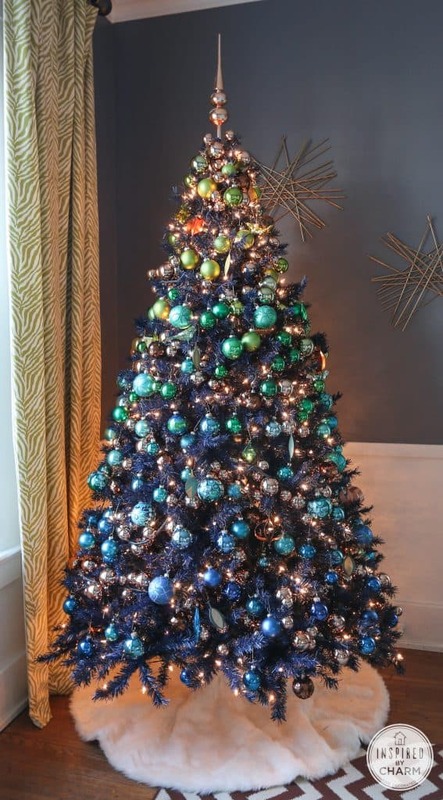 The blue ribbon and shiny ornaments on this flocked Christmas tree complete the look! 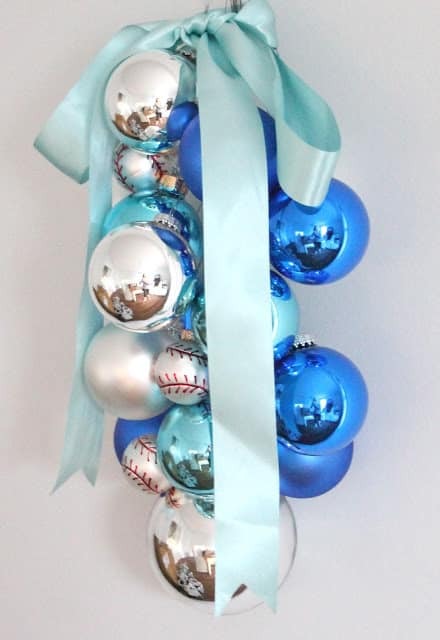 Add a simple blue and silver ornament swag to any room of your home! 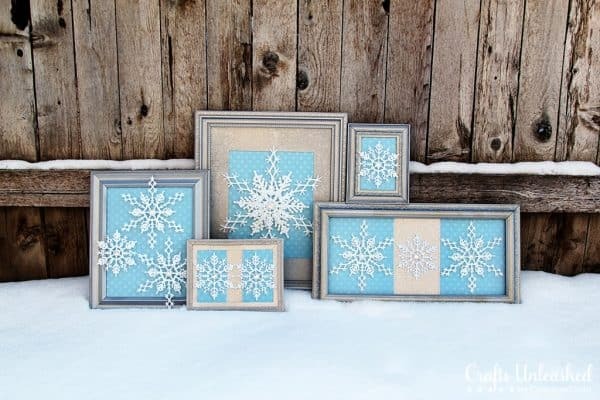 These blue and silver snowflake art pieces are so cute! I love the ones that pop out of the frame. 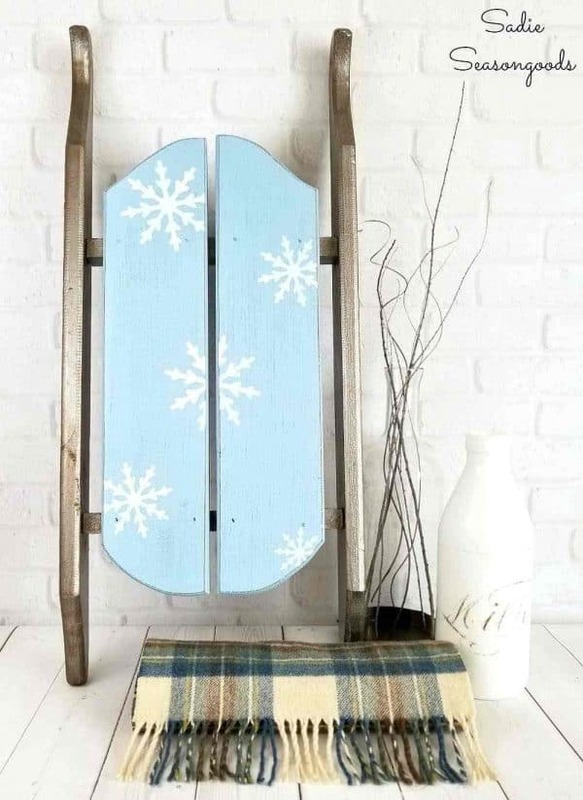 She scored an old wooden sled at the thrift store and turned it into this adorable blue Christmas decor piece! Can you believe these blue ornaments were hand painted? They give such a classy look to this Christmas mantel. 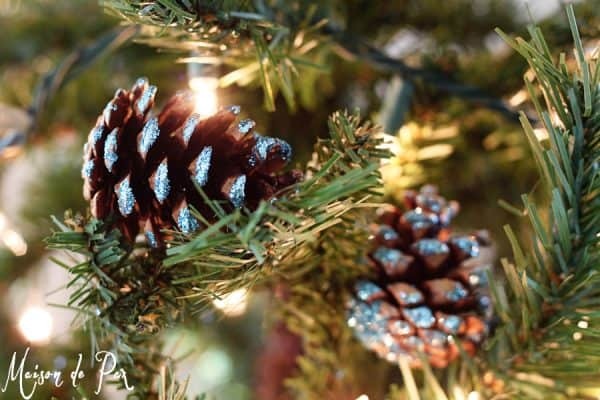 Add a touch of blue sparkle with these pinecone ornaments! 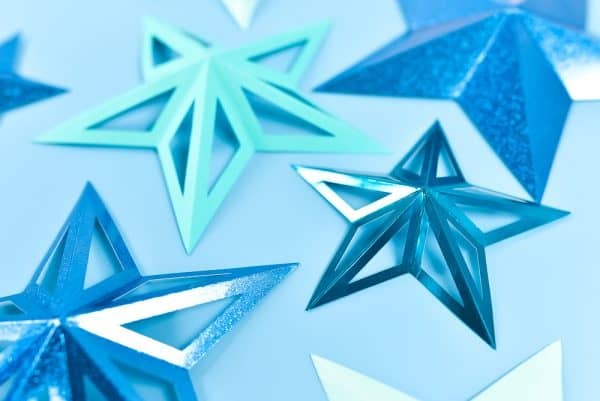 Or create your own paper stars with a Cricut or Silhouette machine! These miniature Christmas trees are perfect for your holiday mantel! 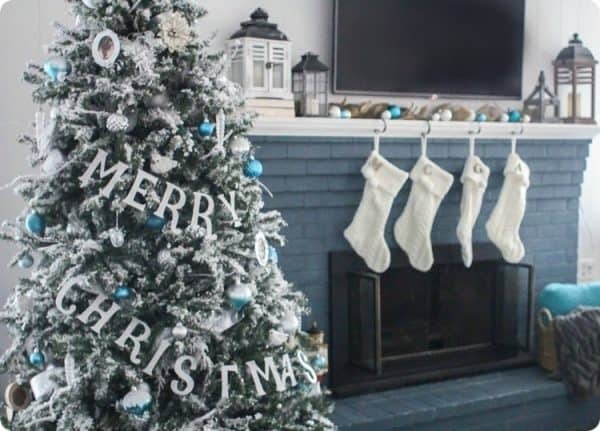 I’m a sucker for anything ombre, and this blue ombre Christmas tree is just beautiful! 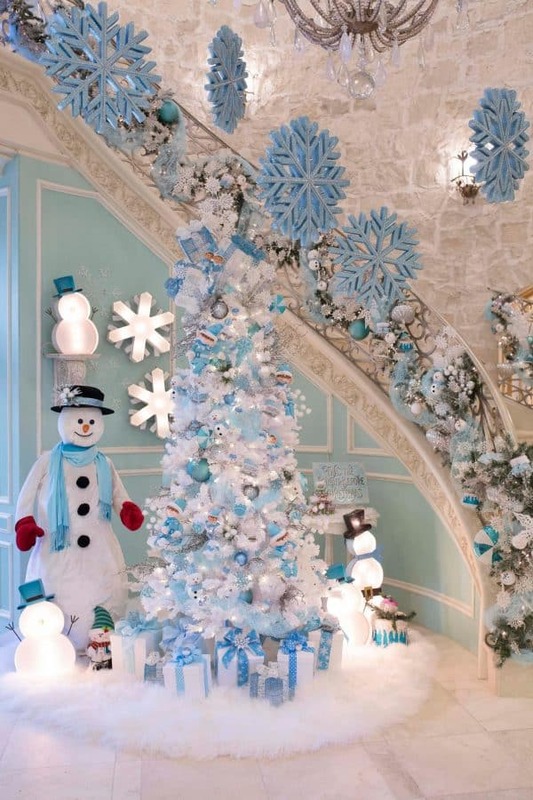 Wow, this blue and white Christmas entryway looks like it came out of a magazine! Those giant snowflakes hanging in mid air are amazing! 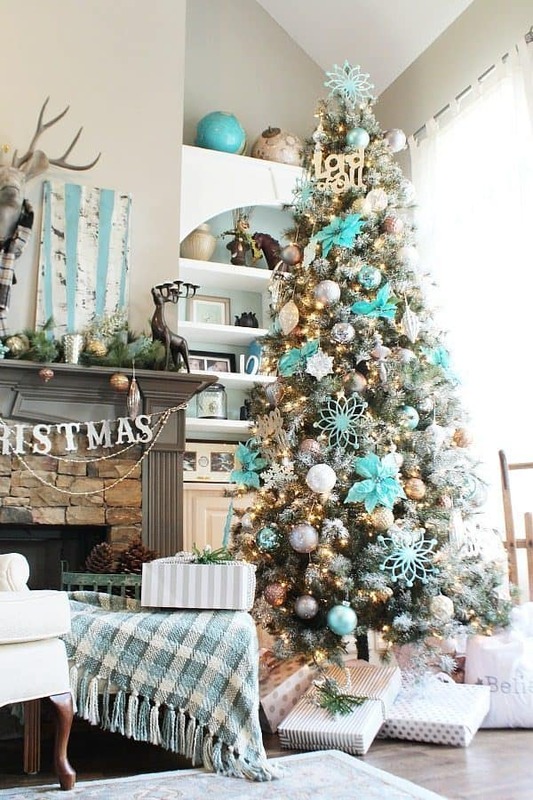 Are you inspired to change up your traditional Christmas decor and add some icy blue to your color scheme? I have so many ideas now, and I can’t wait to share them with you! If you would like to keep up to date with my latest posts about DIY projects, holiday decor and more, you can follow me on Facebook, Pinterest, or Instagram. You can also sign up for my email list below and get the latest post delivered to your inbox, plus exclusive access to my woodworking plans library! Previous Post: « Half Bath Remodel Reveal!